Add watermelon to blended and blend well. Pour juice through fine strainer into wide-mouthed bowl or container. Discard flesh/seeds. 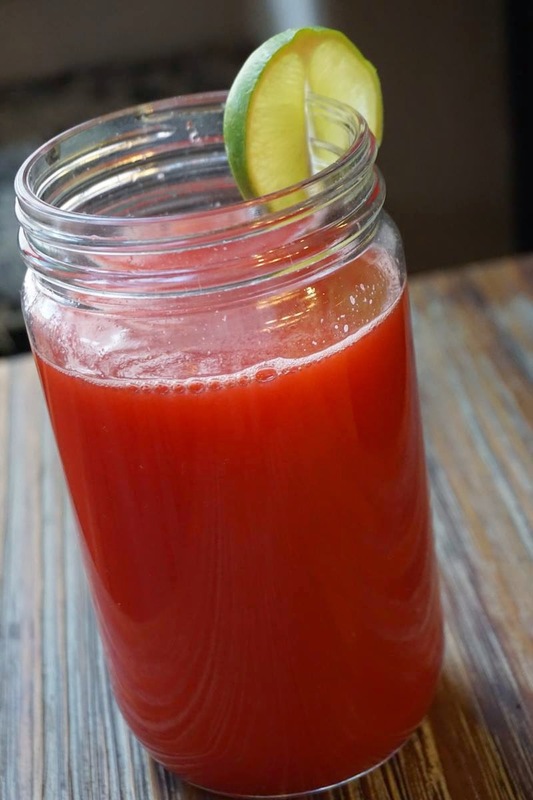 Mix lime juice into the watermelon juice and serve chilled.